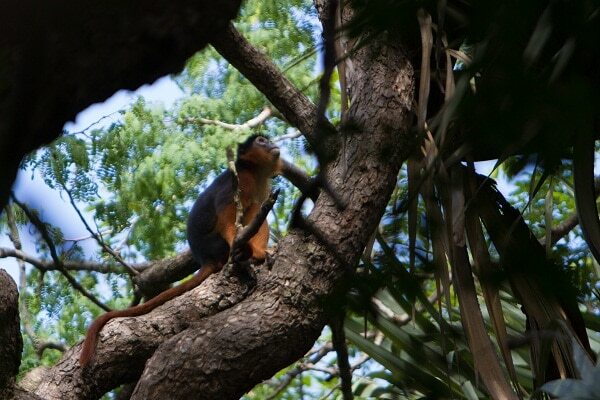 By the time I reached The Gambia I had been itching to start seeing some wildlife. Northern Africa has a wildlife selection that is largely comprised of birds and more birds. And as much as I might like birds, it’s the monkeys, the crocs, and the other big animals that I have been dying to see in Africa. 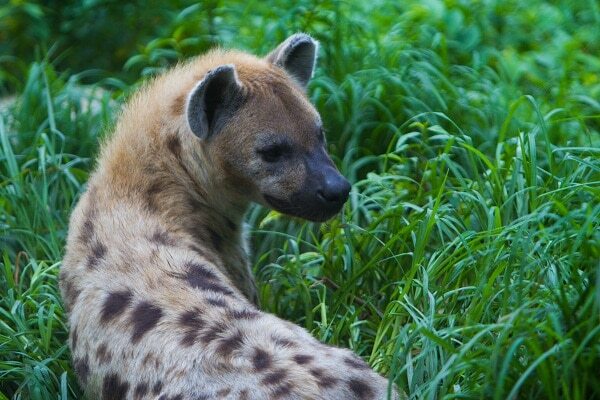 I am not an uneducated fool when it comes to Africa, I know that coming to West Africa and looking for wildlife seems like a bit of a silly endeavour when I could simple pop down to the southern cone and have wildlife peeking out around every corner. However, this region holds much more than meets the eye. It just means a little bit of digging to find it. In my time in West Africa I hope to spot monkeys, chimpanzees, hippos, and even elephants and with some luck a little later on, maybe even a couple Gorillas. But for now, here in The Gambia, I’m starting small; searching for monkeys and crocs, and hoping that perhaps some others also join the fray as I wander. 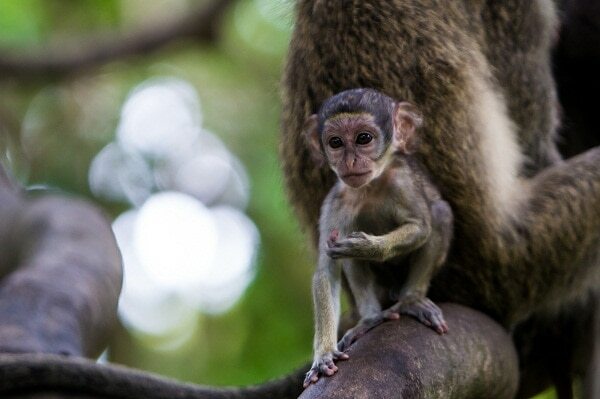 I startted my search for wildlife in The Gambia just outside of the touristy Sene-Gambia strip in a small protected zone known as Bijilo Forest Park, I was told that there was a guarantee of seeing monkeys, and potentially some fairly rare birds. I was uninterested by the sight of the birds bouncing between the trees, even the beautiful hornbills. For me, what made this park so much fun was trying to spot the red-colobus monkeys who were doing their best to hide from the sight of my camera lens and the green vervet monkeys who were doing their best to get noticed. I was later tempted by a sacred pool called “Kachikally” which is home to a couple dozen somewhat tame Nile crocodiles, one of which I even managed to pet. I couldn’t imagine myself coming face to face with one of these prehistoric beasts out in the wild. But for now I’ll settle for the chance to look into the eye of a sacred beast from mere feet away. Craving more, I found myself chasing away at dawn to The Gambia’s most accessible national park, a place called Abuko Nature Reserve. The park is beautifully coated in think brush. Along my 4 hour walk in the reserve I managed to spot two species of monkeys, countless birds, poisonous spiders, a quick warthog, and even a fiercely creepy meter long monitor lizard. 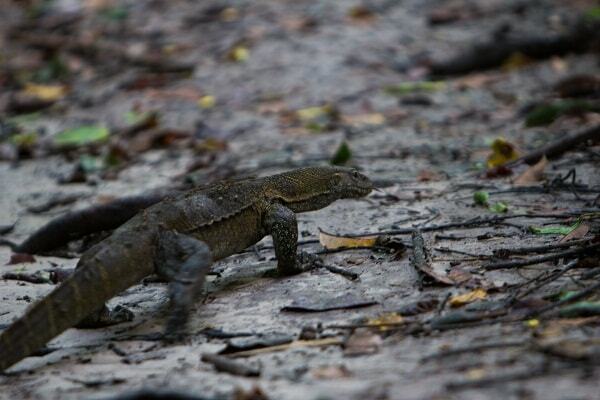 A meter long monitor lizard in Abuko Nature reserve. For more from Abuko, including video of this guy, check the video at the bottom of the article. The Gambia has again gotten my juices flowing, and in many ways as served as a teaser for what’s to come just a few countries down the road. The thought of spotting a forest elephant in the brush, coming face-to-face with a wild chimpanzee, and watching a hippo bathe in the river get my blood flowing like nothing else. I only hope that my camera can handle the abuse I’m about to lay on its shutter button. Thanks Ciki! I think if you were desperate to have a baby and they told you it was the only way you would though! haha. You pet a crocodile?! Not sure whether that’s brave or crazy, but it certainly makes for a good story! I love monkeys. They are so similar us humans yet seem so much wiser. 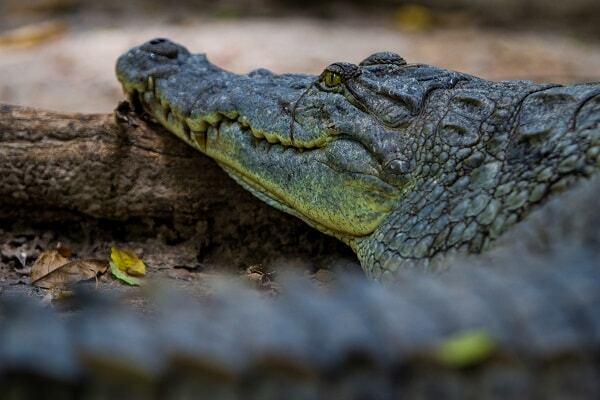 I couldn’t imagine a somewhat tamed crocodile. That’s just crazy! The thought of the “little guy” ripping off a limb just doesn’t sound pleasing to me. So, more power to ya! Also, these poisonous spiders, do they find you or are they the type that stays away if you dont bother them? I’ll stick with the monkeys. They are too darn cute for words. Haha, Kali – Spiders don’t bug me… I think that for the most part they hang out in dark places we don’t bother going anyways… plus, I never kill a spider because they take care of mosquitoes!